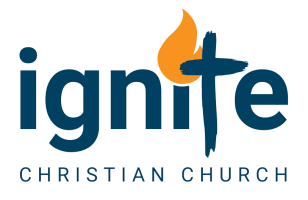 Disappointments Are God's Appointments Archives - Ignite Christian Church By our very nature, being people of faith, hope and love, we open ourselves to potential disappointment. Sometimes we believe for the best in people and believe by faith for goodness to prevail, only to have our faith and our dreams shattered. You cannot stop disappointments in life, but you can manage them correctly and in a Godly way. If you have recently suffered disappointment, I want to declare to you today that you can know and understand the truth by simply changing one letter… change the d for an h, and disappointment becomes His Appointment. Change that one letter, and it can change your entire perspective! DISAPPOINTMENTS… A SET UP TO BE LET DOWN? Sometimes our high expectation disappoints us, but we need to discover that God has a better plan. Joseph expected to marry a virgin, so imagine how he felt when he discovered Mary was pregnant! God had a better plan. The people of Israel were about to enter the Promised land, and Moses sent in spies. They knew of God’s promises, but then 10 of the 12 reported back like this… Numbers 13:32 (ESV Strong's) So they brought to the people of Israel a bad report of the land that they had spied out, saying, “The land, through which we have gone to spy it out, is a land that devours its inhabitants, and all the people that we saw in it are of great height. High expectations can set us up at times for disappointment, especially when we tell God what we want Him to do for us! Listen, there is a difference between God telling you something and you telling God something. Judas joined Jesus’ group expecting him to build an earthly kingdom, but his motives were wrong. His disappointment led to the grave mistake of betraying Jesus, and when we ask with wrong motives we often set ourselves up for disappointment and defeat. James 4:3 (ESV Strong's) You ask and do not receive, because you ask wrongly, to spend it on your passions. If your motive for asking the Lord for something is personal, to promote yourself, or your ideas, your provision, your comfort, etc., then disappointment often follows, so if you are struggling with disappointment, check your motives. What we think is a priority, God does not see it that way. People often look for comfort and material blessings from God, but frankly God is more concerned about our character development than our comfort. The symbol for Christianity is a cross, not a cushion. What we think is important, what we deem is a better way ahead is what we tend to pray for. We might think that God should do something for us because it will make life easier for us, but God often has a better plan, a wiser, higher, more far reaching plan beyond what we, with our limited perception, decide we want… 1 Corinthians 1:25 (ESV Strong's) For the foolishness of God is wiser than men, and the weakness of God is stronger than men. We often grow to rely on things that are based on man rather than God, and as such we open ourselves to disappointment. Connections, jobs, education and money are like shifting sand. They might be here at least right now, but the problem is that it is very easy to put our trust in these things instead of trusting in God. Our false reliance on worldly things often disappoints us. Jeremiah 17:5 (ESV Strong's) Thus says the Lord: Cursed is the man who trusts in man and makes flesh his strength, whose heart turns away from the Lord. Sometimes expectations occur simply because we are used to relying on certain things, and when they fail us we suffer disappointment, because we were not really relying on God. God is all knowing, and all seeing, and He alone sees the big picture. Many times He is taking us on a journey building our faith and our character, but we only see from our limited point of view… we often can’t see the forest for the tress! The Disciples did not understand why Jesus the Messiah should be crucified. In their limited understanding, crucifixion meant defeat. Little did they know that Jesus’ death was part of God’s mighty plan to redeem the world from the slavery of sin. Our limited perception will disappoint us many times, so we need to make a conscious choice to trust God instead of what we see… Proverbs 3:5-6 (ESV Strong's) Trust in the Lord with all your heart, and do not lean on your own understanding. In all your ways acknowledge him, and he will make straight your paths. Sometimes disappointment feels like a defeat, it feels like you have nowhere to go and no hope for the future. Yet from the ashes of your disappointment fresh destiny can arise. So how can you turn disappointment into His Appointment, and how can you look to the future when you sit in the ashes of despair? When we experience disappointment, it is always tempting to blame someone else, and this needs to be avoided. We especially need to not blame God, because although He is working all things for good behind the scene, He is often hurting too. Proverbs 19:3 (ESV Strong's) When a man's folly brings his way to ruin, his heart rages against the Lord. If we blame God or others, we tend to feel unjustly treated and victimised, and this entrenches things like bitterness and jealousy rather than setting us free to move into our God directed destiny. When we experience disappointment, we often get mad at God for letting us down, and then we stop listening to Him. We say “God, I asked and You let me down, so I’ve lost all confidence in you and Your promises.” In Exodus 4, the Israelites believed that God would set them free from slavery, and Moses approached pharaoh. But they then found they had an even harsher demand put on them, so it seem the approach by Moses had backfired big time. The people refused to listen to God or Moses then, Exodus 6:9 (ESV Strong's) Moses spoke thus to the people of Israel, but they did not listen to Moses, because of their broken spirit and harsh slavery. In their disappointment at the result, they stopped listening to God. So if you are disappointed today, if you stepped out in faith and trusted God and you feel let down by the result, don’t stop following and listening to God! Isaiah 55:8-9 (ESV Strong's) For my thoughts are not your thoughts, neither are your ways my ways, declares the Lord. For as the heavens are higher than the earth, so are my ways higher than your ways and my thoughts than your thoughts. As an eagle’s eyes see far beyond what a human eye can see, so God in His infinite wisdom and understanding, can see far beyond what puny man can see. God is eternal, and He sees the big picture. We see just our small portion, and it is sometimes like viewing the back of a tapestry. We see pain, disappointments, struggle, hardship, dark coloured threads as well as light, and they seem to just make a mess. But if we could see the other side of the tapestry, we would see a vision of great beauty. We have to trust the master weaver as He weaves even disappointments and hardships into our lives. Here’s a poem popularised by Corrie Ten Boom… My Life is but a weaving between my Lord and me; I cannot choose the colors He worketh steadily. Oft times He weaveth sorrow And I, in foolish pride, Forget He sees the upper, And I the under side. Not til the loom is silent And the shuttles cease to fly, Shall God unroll the canvas And explain the reason why. The dark threads are as needful In the Weaver’s skilful hand, As the threads of gold and silver In the pattern He has planned. He knows, He loves, He cares, Nothing this truth can dim. He gives His very best to those Who leave the choice with Him. As I said before, many of the things we pray and believe for are what we want, not necessarily what God wants. As Pentecostals, we are always stepping out in faith an believing for great things, which is wonderful, but sometimes we tell God by faith what we want, rather than allowing Him to reveal to us His will. Matthew 6:33 (ESV Strong's) But seek first the kingdom of God and his righteousness, and all these things will be added to you. That’s the awesome thing… we do not have to seek the results the world wants, because if we seek the Lord Himself, we get everything we need in life, according to His wisdom! I know we at Ignite need a bigger building, and so does God. If we would just seek Him first, and His Kingdom, then we can trust that He will open the right door at the right time. Until then, we have 150 people and 2 toilets, and a lot of close fellowship, but God is here, folks, and He will lead us on! We don’t have to issue instructions to Him, we have to listen for His instructions to us! In God’s perspective, He allows us times of testing and disappointment to build what He considers is most important. Are buildings and car parks important to God? Is having a big or comfortable church that significant? Or is building character and faith more important? Is unity in our church of a higher priority than the number of toilets? Of course it is, and God can use our current disappointments to build things of lasting value into our lives, and into this church. If you can trust God to answer your prayer the way you desire, can you also trust Him if He says no? If we think our way is a good idea, can we entrust it to God, even if He says He has an even better idea. I have come to understand that true faith trusts God no matter the result, because Romans 8:28 (ESV Strong's) we know that for those who love God all things work together for good, for those who are called according to his purpose. Many of us seek God’s hand, but don’t seek His face. Many times we put our trust in the result of our prayers rather than in God Himself, and if we do this we will be disappointed! However, if we stand and see that God is building something incredible right here before our eyes, we know that He can and will use even the disappointments for His glory and our character! When you experience disappointment, never lose sight of the promises God has made to you. He promises that He has a plan for your life, and with His infinite wisdom and knowledge, He is in a far better position to decide things for us, regardless of what we think should happen. Growing up I always wanted to be a doctor. I missed by a couple of marks, and so became an Optometrist, and could have swapped to medicine but strongly felt to stay in Optics. As it turned out, as an Optometrist in my specialist area I have been more free to minister than I ever would have been as a doctor. God had a plan to prosper me! Jeremiah 29:11-13 (ESV Strong's) For I know the plans I have for you, declares the Lord, plans for welfare and not for evil, to give you a future and a hope. Then you will call upon me and come and pray to me, and I will hear you. You will seek me and find me, when you seek me with all your heart. Circumstances do not determine destiny, choices do. Sometimes like Peter we step out of the boat by faith, with our eyes and our faith set on the Lord, but the waves and wind buffet us so much that we begin to look at them instead of God, and we begin to sink! Colossians 3:2 (ESV Strong's) Set your minds on things that are above, not on things that are on earth. Hebrews 12:1-2 (ESV Strong's) Therefore, since we are surrounded by so great a cloud of witnesses, let us also lay aside every weight, and sin which clings so closely, and let us run with endurance the race that is set before us, looking to Jesus, the founder and perfecter of our faith, Looking at Jesus, fixing our eyes on Him completely transforms how we view and deal with the disappointments. However disappointed you may be, keep focussed on God! Remember, disappointment only needs the change of one letter to become His Appointment. It only needs a small change in our perception to overcome disappointment in our lives. If we feel disappointment today, it’s not the end. We may feel like we’re losing, we may feel like the bad guys have won, but if we change our perception, we can choose to not lose and we can choose to win big with our God! We have a choice… disappointment or His Appointment… After all, a set back is just a set up for a come back! I started this message with the prophet Habakkuk whining and complaining about how the bad guys seem to be winning. And for some of us here, the bad guys seem to have won and we are disappointed. Habakkuk cried out to God and wanted to know why good men suffer while ungodly men seem to get the breaks. He wanted to know why it seems that nice guys finish last, why people who behave well are beaten by those behaving badly. And so the prophet and God argued back and forth for 3 chapters, but is want to finish with the final verses of that book. After crying out against the injustice of what had happened, as many of us are today, after feeling the disappointment and being overwhelmed by seeing the wrong guys winning, Habakkuk finishes his book this way. (If you are disappointed, I’d encourage the same…) Habakkuk 3:17-19 (ESV Strong's) Though the fig tree should not blossom, nor fruit be on the vines, the produce of the olive fail and the fields yield no food, the flock be cut off from the fold and there be no herd in the stalls, yet I will rejoice in the Lord; I will take joy in the God of my salvation. God, the Lord, is my strength; he makes my feet like the deer's; he makes me tread on my high places. Today I want to pray for those struggling with disappointment. If you’ve had a bad year, if you’re feel let down, if you question why the bad guys seem to be winning. If your trust in God is shaky because you cannot see what He is really doing, stand up. Near the end of the year, you’re feeling down, run down or let down. We’re going to point your eyes up! Disappointments are a real thing for me, especially every Monday morning after a big weekend at church. If some aspect of Sunday was disappointing, I really flatline. Disappointments are inevitable in life, as we all experience from time to time. We can be disappointed by people, by situations, by ourselves and even by God. By our very nature, being people of faith, hope and love, we open ourselves to potential disappointment. Sometimes we believe for the best in people and believe by faith for goodness to prevail, only to have our faith and our dreams shattered. You cannot stop disappointments in life, but you can manage them correctly and in a Godly way. If you have recently suffered disappointment, I want to declare to you today that you can know and understand the truth by simply changing one letter… change the d for an h, and disappointment becomes His Appointment. Change that one letter, and it can change your entire perspective! Why do so many of us struggle with disappointment in our lives? This week, many of us in leadership have had to work through a disappointment, a result we did not believe was right or fair, and while we boldly proclaim God is in control, our attempts to keep our chins up sometimes resemble hollow bravado. So the law is paralyzed, and justice never goes forth. For the wicked surround the righteous; so justice goes forth perverted. Sometimes our high expectation disappoints us, but we need to discover that God has a better plan. Joseph expected to marry a virgin, so imagine how he felt when he discovered Mary was pregnant! God had a better plan. So they brought to the people of Israel a bad report of the land that they had spied out, saying, “The land, through which we have gone to spy it out, is a land that devours its inhabitants, and all the people that we saw in it are of great height. High expectations can set us up at times for disappointment, especially when we tell God what we want Him to do for us! Listen, there is a difference between God telling you something and you telling God something. Judas joined Jesus’ group expecting him to build an earthly kingdom, but his motives were wrong. His disappointment led to the grave mistake of betraying Jesus, and when we ask with wrong motives we often set ourselves up for disappointment and defeat. If your motive for asking the Lord for something is personal, to promote yourself, or your ideas, your provision, your comfort, etc., then disappointment often follows, so if you are struggling with disappointment, check your motives. What we think is a priority, God does not see it that way. People often look for comfort and material blessings from God, but frankly God is more concerned about our character development than our comfort. The symbol for Christianity is a cross, not a cushion. We often grow to rely on things that are based on man rather than God, and as such we open ourselves to disappointment. Connections, jobs, education and money are like shifting sand. They might be here at least right now, but the problem is that it is very easy to put our trust in these things instead of trusting in God. Our false reliance on worldly things often disappoints us. and makes flesh his strength, whose heart turns away from the Lord. Sometimes expectations occur simply because we are used to relying on certain things, and when they fail us we suffer disappointment, because we were not really relying on God. God is all knowing, and all seeing, and He alone sees the big picture. Many times He is taking us on a journey building our faith and our character, but we only see from our limited point of view… we often can’t see the forest for the tress! The Disciples did not understand why Jesus the Messiah should be crucified. In their limited understanding, crucifixion meant defeat. Little did they know that Jesus’ death was part of God’s mighty plan to redeem the world from the slavery of sin. Albert Einstein failed his college entrance exam. Walt Disney was fired from his first media job. Michael Jordan was cut from his high school basketball team. 1838 Ran for state speaker- defeated. 1840 Ran for elector - defeated. 1846 Ran for Congress again - this time he won - went to Washington and did a good job. 1849 Ran for Land officer in his home state - rejected. When we experience disappointment, it is always tempting to blame someone else, and this needs to be avoided. We especially need to not blame God, because although He is working all things for good behind the scene, He is often hurting too. When a man's folly brings his way to ruin, his heart rages against the Lord. If we blame God or others, we tend to feel unjustly treated and victimised, and this entrenches things like bitterness and jealousy rather than setting us free to move into our God directed destiny. Moses spoke thus to the people of Israel, but they did not listen to Moses, because of their broken spirit and harsh slavery. In their disappointment at the result, they stopped listening to God. So if you are disappointed today, if you stepped out in faith and trusted God and you feel let down by the result, don’t stop following and listening to God! As an eagle’s eyes see far beyond what a human eye can see, so God in His infinite wisdom and understanding, can see far beyond what puny man can see. As I said before, many of the things we pray and believe for are what we want, not necessarily what God wants. As Pentecostals, we are always stepping out in faith an believing for great things, which is wonderful, but sometimes we tell God by faith what we want, rather than allowing Him to reveal to us His will. That’s the awesome thing… we do not have to seek the results the world wants, because if we seek the Lord Himself, we get everything we need in life, according to His wisdom! I know we at Ignite need a bigger building, and so does God. If we would just seek Him first, and His Kingdom, then we can trust that He will open the right door at the right time. Until then, we have 150 people and 2 toilets, and a lot of close fellowship, but God is here, folks, and He will lead us on! We don’t have to issue instructions to Him, we have to listen for His instructions to us! In God’s perspective, He allows us times of testing and disappointment to build what He considers is most important. Are buildings and car parks important to God? Is having a big or comfortable church that significant? Or is building character and faith more important? Is unity in our church of a higher priority than the number of toilets? Of course it is, and God can use our current disappointments to build things of lasting value into our lives, and into this church. we know that for those who love God all things work together for good, for those who are called according to his purpose. Many of us seek God’s hand, but don’t seek His face. Many times we put our trust in the result of our prayers rather than in God Himself, and if we do this we will be disappointed! However, if we stand and see that God is building something incredible right here before our eyes, we know that He can and will use even the disappointments for His glory and our character! When you experience disappointment, never lose sight of the promises God has made to you. He promises that He has a plan for your life, and with His infinite wisdom and knowledge, He is in a far better position to decide things for us, regardless of what we think should happen. Growing up I always wanted to be a doctor. I missed by a couple of marks, and so became an Optometrist, and could have swapped to medicine but strongly felt to stay in Optics. As it turned out, as an Optometrist in my specialist area I have been more free to minister than I ever would have been as a doctor. God had a plan to prosper me! Circumstances do not determine destiny, choices do. Sometimes like Peter we step out of the boat by faith, with our eyes and our faith set on the Lord, but the waves and wind buffet us so much that we begin to look at them instead of God, and we begin to sink! Looking at Jesus, fixing our eyes on Him completely transforms how we view and deal with the disappointments. However disappointed you may be, keep focussed on God! Our destiny as believers and our destiny as a church remains sure this day, whatever the disappointments we feel. After all, a set back is just a set up for a come back! I started this message with the prophet Habakkuk whining and complaining about how the bad guys seem to be winning. And for some of us here, the bad guys seem to have won and we are disappointed. Habakkuk cried out to God and wanted to know why good men suffer while ungodly men seem to get the breaks. He wanted to know why it seems that nice guys finish last, why people who behave well are beaten by those behaving badly. Today I want to pray for those struggling with disappointment. If you’ve had a bad year, if you’re feel let down, if you question why the bad guys seem to be winning. If your trust in God is shaky because you cannot see what He is really doing, stand up. Near the end of the year, you’re feeling down, run down or let down. We’re going to point your eyes up!